Boost the immune system, calm upset stomach, and alleviate stress with herbal medicine tea. 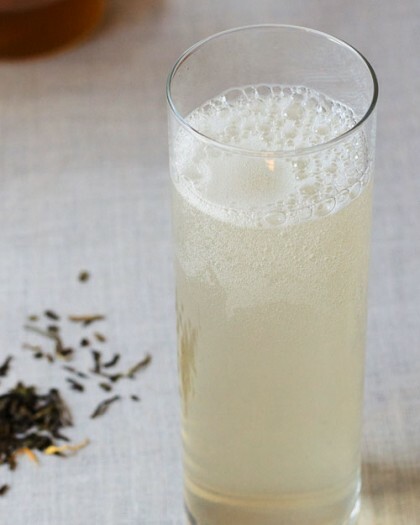 From the simple to complex, give these herbal tea blends a try. I’ve been working a lot the last couple of months so I’ve been feeling a little tired and rough around the edges. My usual tea ritual wasn’t cutting it, plus, I wanted something that didn’t involve caffeine. Drinking herbal concoctions for all type of health problems were a part of growing up with Korean parents. Have a sore throat? Drink Korean citron tea. Feeling a chill or feel a cold coming on? Drink ginger tea. I wasn’t sure what to have to boost my immune system and to relieve stress but my cousin came to the rescue and introduced me to her friend Michael Kim who has training in traditional Chinese medicine and acupuncture. Ok, now, let me say that I’m not a 100% believer in herbal medicine and I don’t believe in detox teas. But I do believe there are some health benefits to be had from herbal medicinal tea. I don’t see it as a cure but something that can assist in helping you feel better. Michael is the director at LaOn Wellness Center in Midtown, NYC and he gave me three herbal medicinal teas to make at home. These are all herbal teas or tisanes. They’re not really tea since it doesn’t come from a tea plant but instead, these are dried herbals that were steeped in hot water. Let’s start with the easiest to make. Chrysanthemum tea is from the chrysanthemum flower which is so simple to prepare. You just add hot water to the dried flowers. The longer you steep, the stronger the taste will be. This was by far my favorite in that it was so pure and unique in flavor. And I found out why. Michael gets his dried chrysanthemum flowers from a medicinal herbal shop in Korea. You can really taste the quality. The flowers were all intact and had a bright yellow color. The second I opened up the bag, the fresh aroma hit me right away. If you’re looking to get some good quality chrysanthemum, try a Eastern herbal medicine shop. 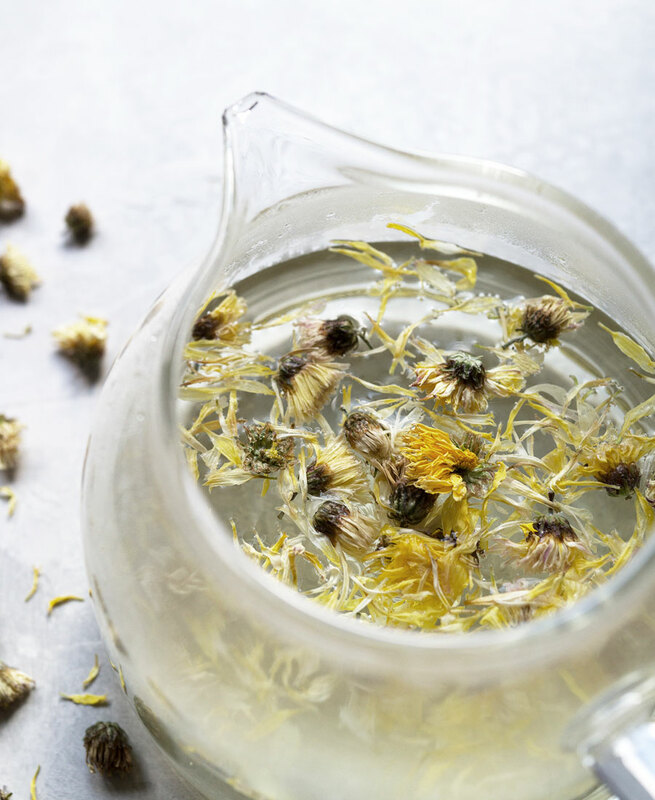 Chrysanthemum tea is caffeine free and relieves stress. Brightens tired eyes. Someone actually commented the first day I drank this that I seemed more alert than usual! Contains vitamin C so it’s good to drink when you have a cold. Boil water and steep dried flower buds and let it unfurl. You can steep however long you wish. I would do two tablespoons of dried flower buds to one cup of water. 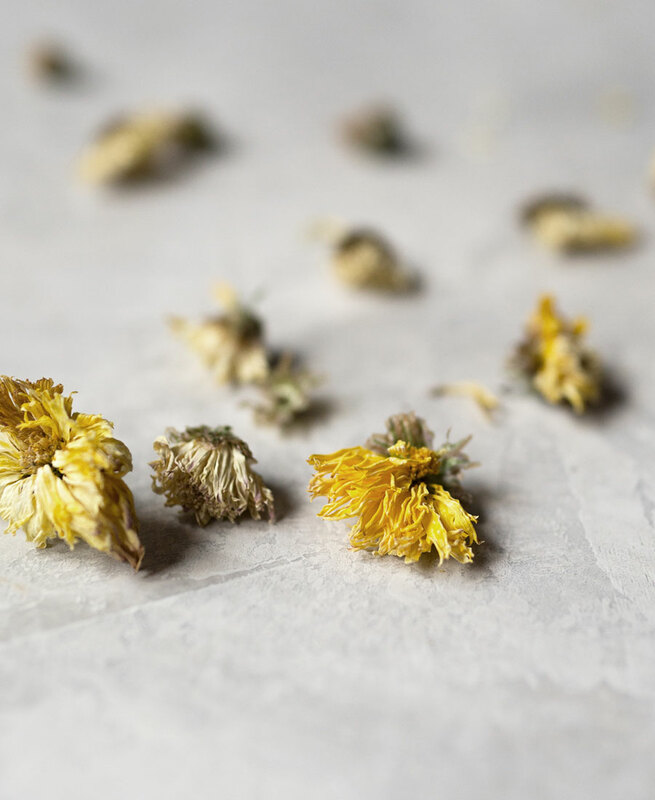 The ingredients for this tea are super easy to find unlike the good quality dried chrysanthemum flowers — all you need is ginger and lemon. It’s easy to make too. The balance is in the amount of each you want to add. The first time I made it, it was way too tart. 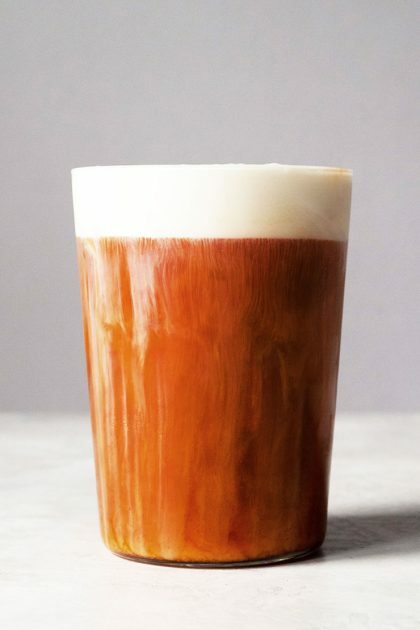 With this one, you steep for longer, about 20 minutes. Relieves congestion and sore throat. It’s basically a great herbal tea for when you have a cold. Ginger is great at calming an upset stomach or when you’re feeling nauseous. Ginger also helps with indigestion so if you’re feeling unwell after your third helping of mac and cheese, drink this tea. Boil water and add thinly sliced ginger and lemon. Steep for 20 minutes. You can add a little honey if you’d like. 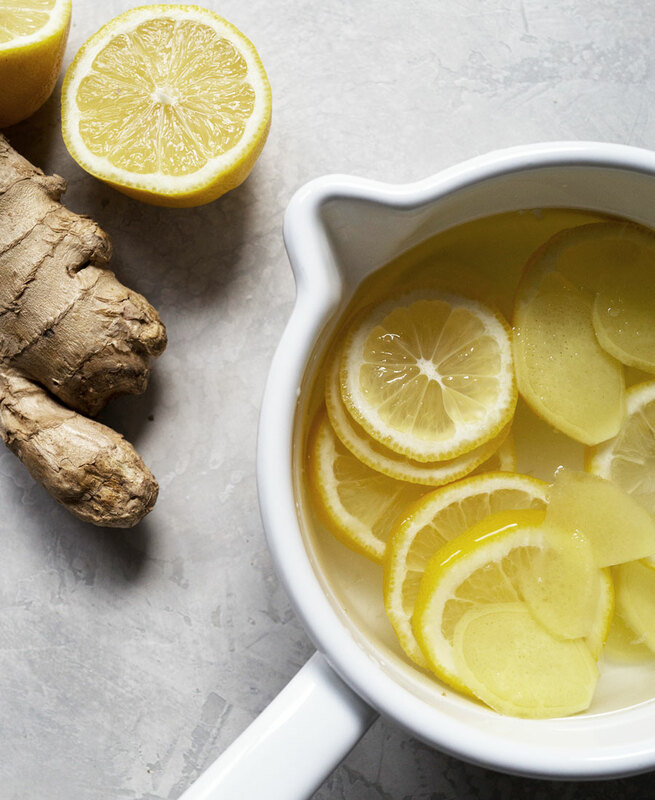 For two cups of water, add 1 inch fresh ginger, peeled and sliced and a quarter of a lemon, sliced. 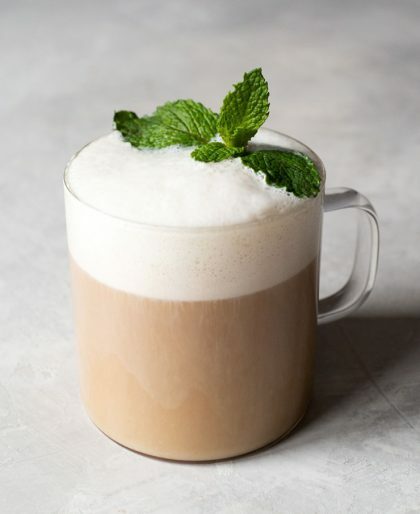 This drink can be had hot or cold. Uhh, jade what? Jade Windscreen. It’s an Eastern herbal medicine formula made up of three ingredients and it’s apparently a very well-known blend. So much so that you can find it online as a dietary supplement in pill form. 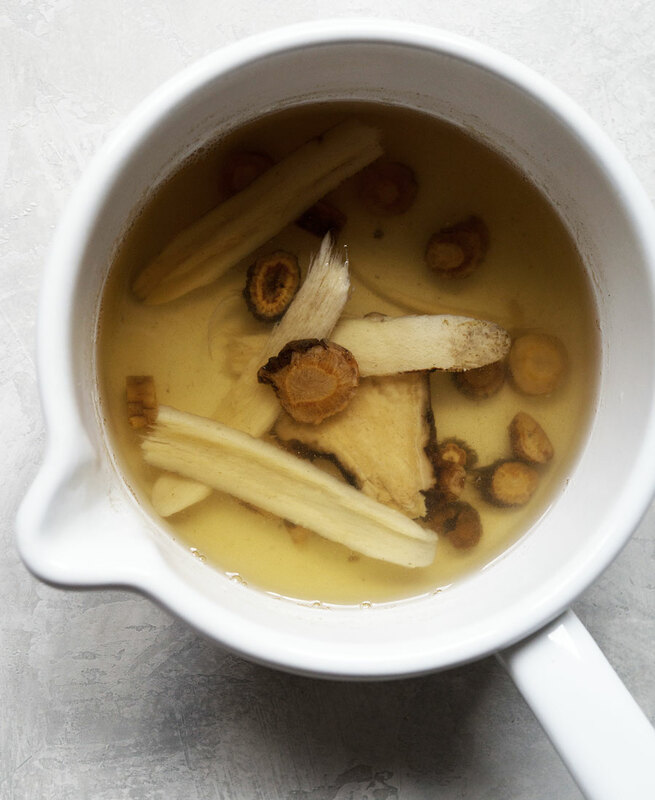 Also known as Yu Ping Feng San, you definitely need to find a place that specializes in Eastern medicine to track down the three components if you want to make it from scratch. 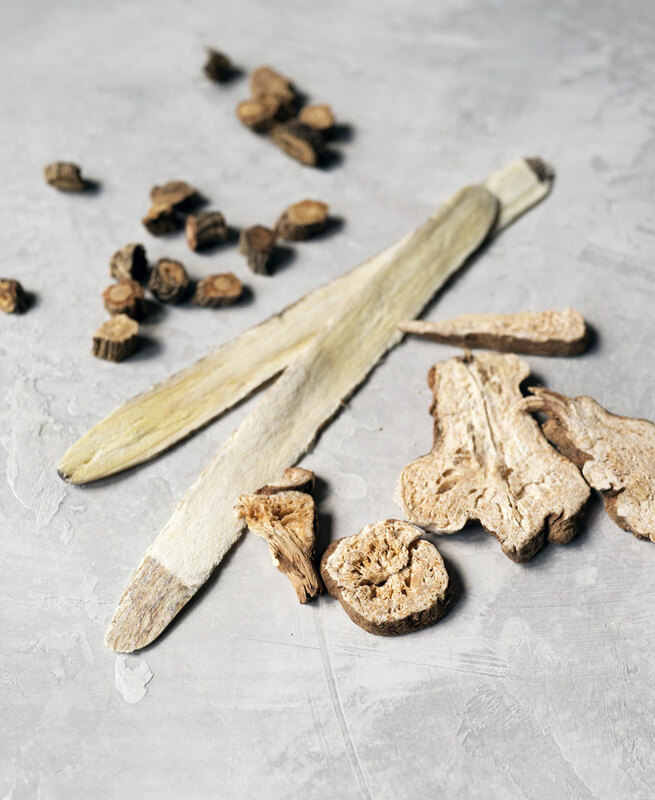 It’s a combination of Huang Qi (Astragalus root), Bai Zhu (White Atractylodes root), Fang Feng (Saposhnikovia root). Immune system booster. It’s basically supposed to power up your body to prevent you from getting sick. This is also supposed to help decrease sweating. So if you sweat a lot, this may be something to try. According to Michael, the general rule of thumb is to cover the herbs and add 2 inches of water in a pot. 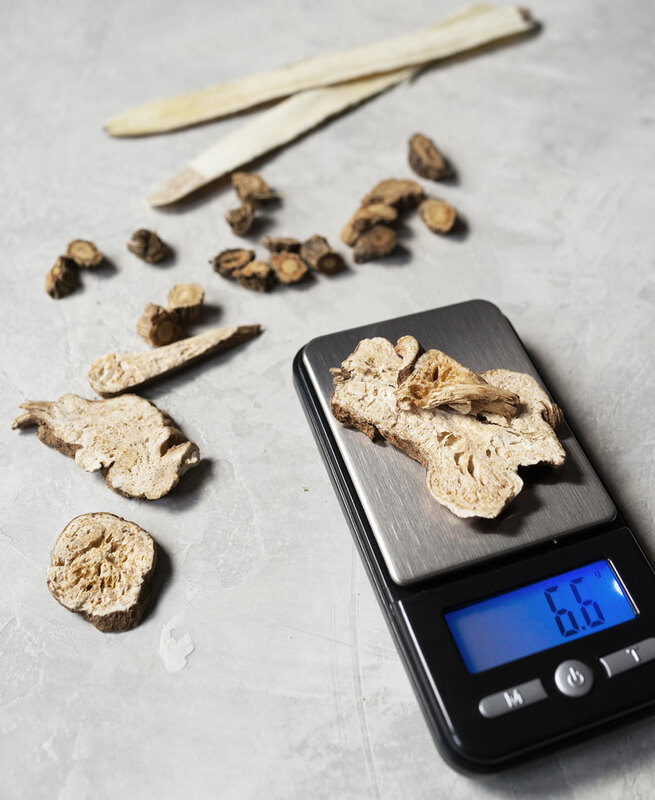 It’s 2:2:1 ratio of Huang Qi (Astragalus root), Bai Zhu (White Atractylodes root), Fang Feng (Saposhnikovia root). I used my tea scale to weigh out the herbs to get the correct ratio then added about a cup and a half of water. Bring to boil with then, with the lid on, lower heat to a simmer for 45 minutes. (!!) Avoid opening the lid which is way harder than you think it will be. Strain the herbs out of the water — the herbs can be cooked 2-3 more times. You’ll most likely want to add honey to your herbal tea since the taste may not be so pleasant. The best way to figure out how to make any herbal medicine is to work with a specialist who can tailor it to your needs, like how Michael Kim made these recommendations and provided the herbs for me.